Cabin - We had 3508 Oceanview (Forward Starboard). Very spacious and was impressed with all the storage space. The only negative and I imagine it is the same in all cabins is the extremely tight space in the shower. One false step, and you are taking a header towards the sink!! I am 6' 4" and had a very challenging time. Our cabin steward Mark was so attentive. Dining - Mixed reviews depending on the venue. Most surprised by the Park Cafe. 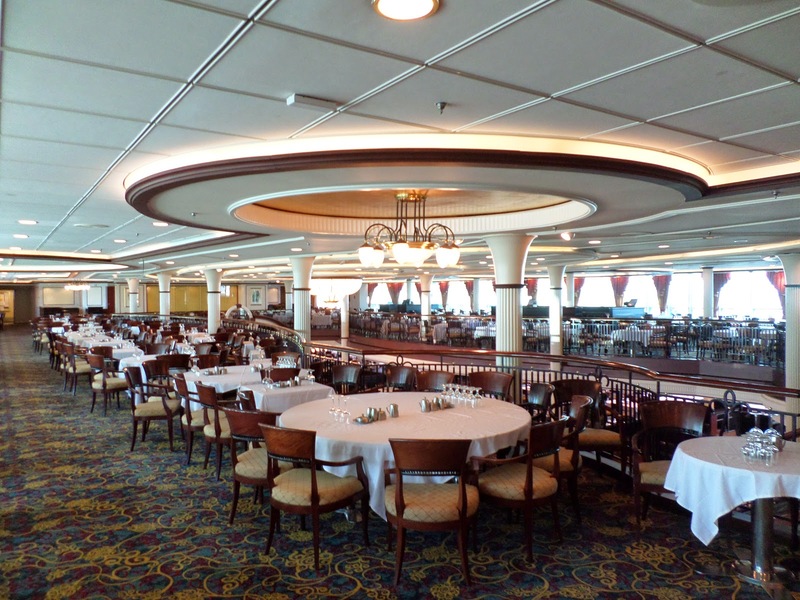 It was a great place for embarkation lunch (no crowds) and I loved the selection of salads, sandwiches and carved meat (although they never seemed to have the "famed" roast beef when I stopped by). Even great little breakfast sandwiches. Main Dining Room was excellent. First time on any ship for My Time Dining and was a little nervous on how it would work. I was surprised you could make reservations ahead of time for the whole cruise. So we had "unassigned late seating" at 7:30 each night - and one night moved it up to 6:30 based on that day;s events we wanted to attend. Had the best assistant waiters and bar waiters on any cruise. Food in Main Dining Room was overall very good. Usually the waiter's recommendations panned out except for the bay scallops which were tasteless morsels of rubber doused in butter. But had an amazing beef tenderloin dish the second night. The finest beef dish I have had on a cruise. I'll be as kind as I can on the Windjammer buffet and the Coco Cay BBQ lunch. They are truly uninspired. For as much work and planning seems to go into the MDR and Park Cafe (and I assume Chops), the buffet lacks much creativity except for the small hidden station of Indian which more often than not was not replenished. Food quality wasn't terrible in Windjammer - but I could have closed my eyes and guessed what dishes were waiting for me: Lasagna, stroganoff, nachos. The food at Coco Cay was worse. Luke-warm ribs, chicken and burgers. Very little flavor. I wish they would have offered some sort of spicy BBQ sauce for those that like some flavor. Didn't ruin my day of course. Live Music - Lots of opportunities to see bands and performers. The NEXUS band was my favorite. They were usually in the Centrum most evenings. The lead singer has an amazing voice. We stayed one evening for the piano entertainer (Beau??) in Schooner Bar. He was talented but instead of singing real words to any songs he made them up. There also was a band that mainly played in Boleros which was excellent. The last night they were playing all sorts of different traditional dance songs (like Waltz and Tango) for this group that were very accomplished dancers. 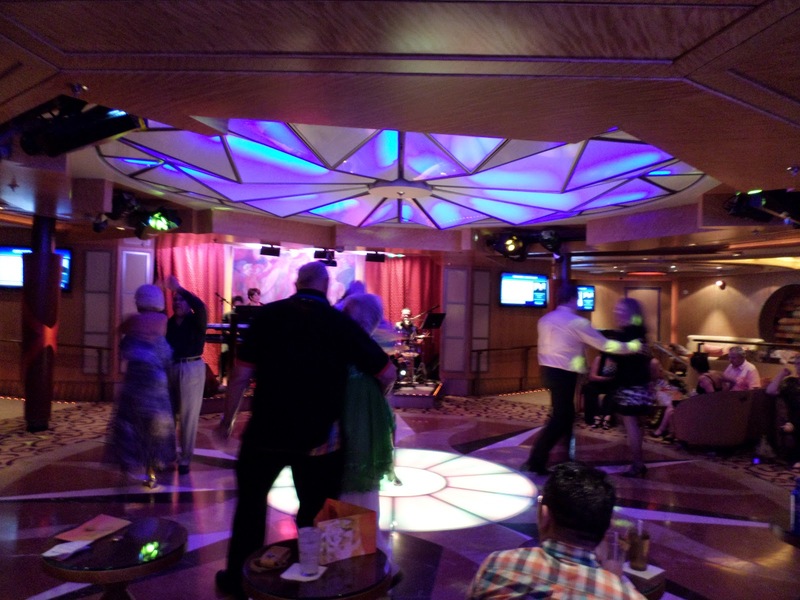 As an aside, this cruise I saw the most amazing dancing from passengers. Really inspiring me to take some classes. 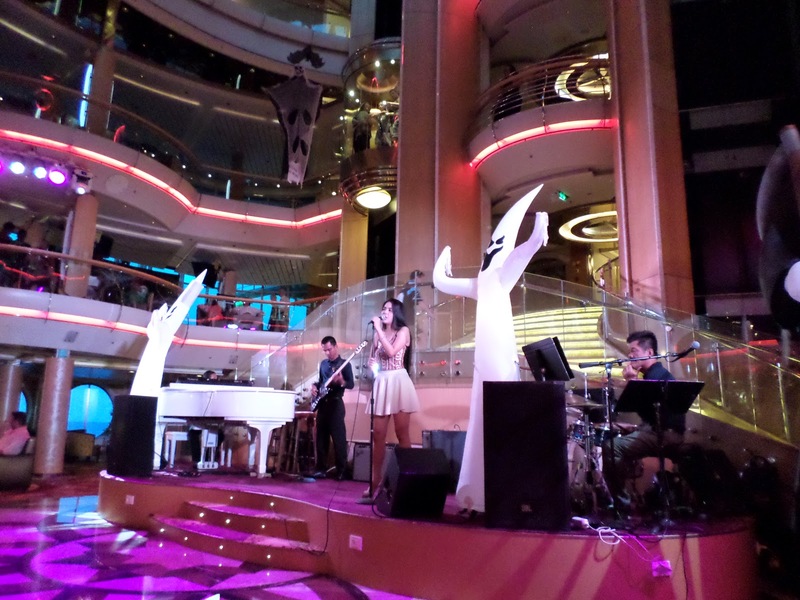 Other Entertainment - Marc Walker is an exceptional cruise director. Funny and informational at the appropriate times. His staff always looked like they were having fun. I don't know his name but the Entertainment Manager led a very infectious deck party which is now the most impressive deck party I have seen on a ship (Norwegian Star has led that category). The trivia contests were very challenging!! Embarkation - Very smooth. Waited in a line for about 15 minutes before getting to the counter. One tip. If they suggest you go to the non-Crown and Anchor dedicated lines, they may be right. We went to the Platinum line and then saw people who were behind us in security boarding the ship. It seems this sailing has lots of repeat cruisers which made those lines loner. But I also heard the CD say there were over 1000 first-time cruisers. In any regard, the premium lines aren't always shorter. Debarkation. Woke up at 7:15 to our arrival. Quickly packed our things, and we were out in the parking lot by 8:20 (skipped breakfast). 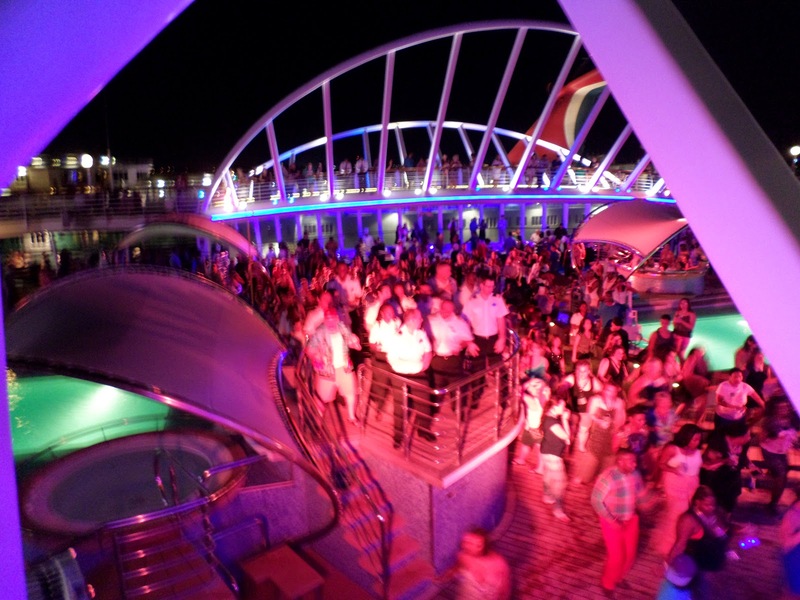 Overall, a wonderful cruise. If you have any questions, feel free to ask. 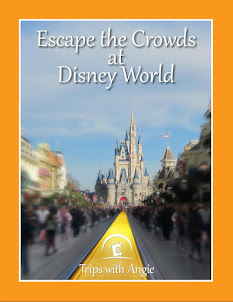 Great Vacations - at no additional cost to you.